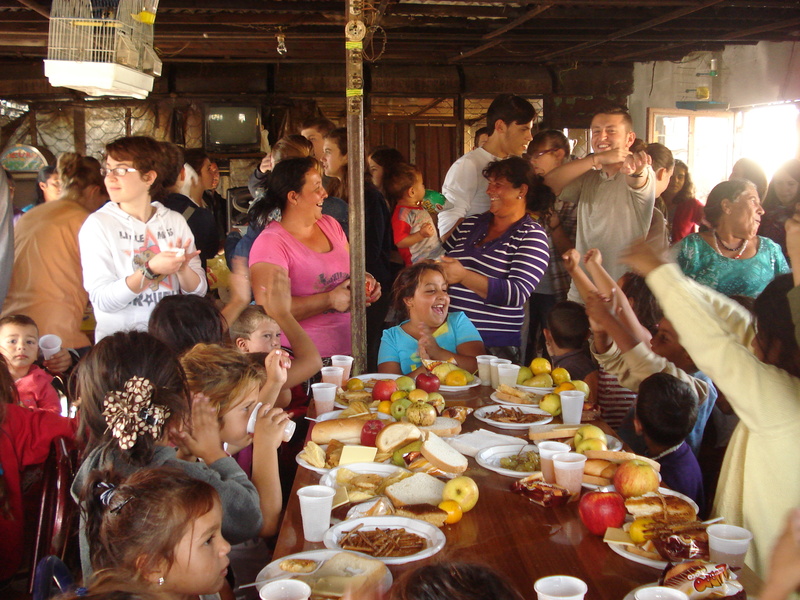 This Wednesday we celebrated the UN’s World Food Day, aka the International Day Against Hunger. So last week when I was meeting with my students from our “Change the World” club (see my previous post for more info: https://daninesmith.wordpress.com/2013/04/30/albanian-gangham-style/) we decided that it was a holiday we absolutely needed to honor. Okay let me backtrack here for a second. These kids are seriously some of the best and brightest in the country. When the academic year started the hallways were already abuzz with who was going to be accepted into the “Change the World” club this year. With half of our students having graduated (including our amazing founder who I miss dearly every day), it was time to start all over again. But this time I was convinced I could introduce an American style after school club atmosphere into this group. So I made them campaign and give speeches for who would be our new president, vp, treasurer, secretary, and pr chair. We held secret ballot elections one afternoon and a new executive board of CTW was chosen. So one day when these kids are running this country, at least they’ll have one experience of honest, free, and fair elections under their belt! They even made a legitimate application process with a deadline and everything to select new members. None of this, chose your best friends or the children of teachers kind of thing that happens in real world politics (in Albania and way too many places around the world). We had the whole school filling out applications and asking us for more information on how they could volunteer with us to do cool projects in Shkoder. For a PCV, this is it, the moment I’d been waiting for. These kids really get it. So anyway, back to the World Food Day. 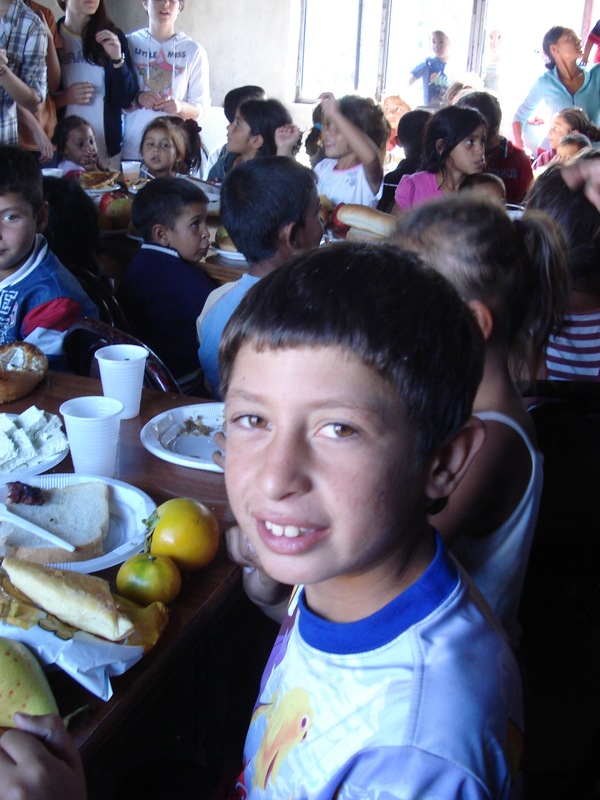 They thought it would be a great idea to give canned goods to the Roma community here in Shkoder, since they are a very poor and marginalized group. Inside I was giddy. Seriously. These kids were really rising to the ocassion and taking their positions in the CTW club to heart. They want to make a difference in this community. To up the ante, I proposed that we sit down for a meal with them to show the Roma community that respect them as individuals as well. And they totally went for it. 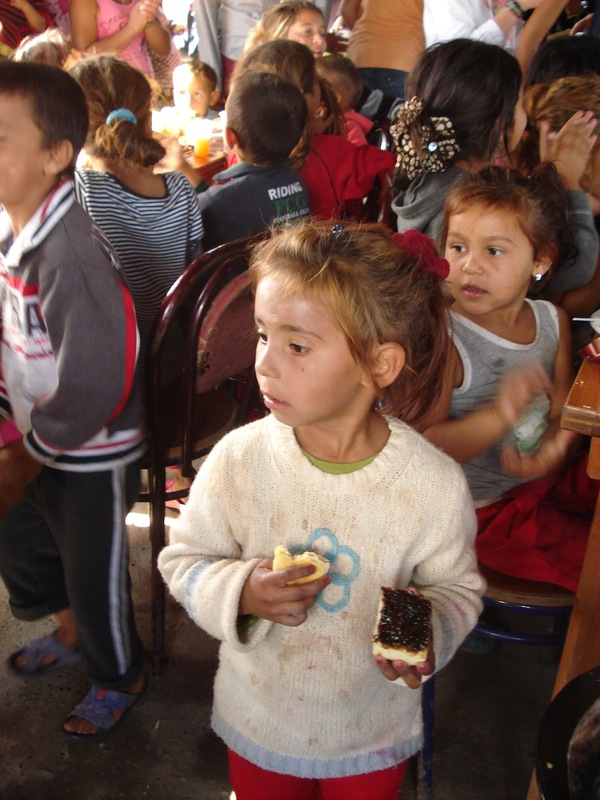 You see, the Roma community in Albania is treated almost like a lower caste of citizens. They have their own little village at the end of town with their own rules and their own customs. Rumor has it that they even speak a different language and have different religious beliefs. But the Roma community is also treated very badly by everyday citizens here. They beg in the streets for food and money, and their children aren’t integrated into the schools. In general, Albanians distrust the Roma for a variety of reasons (not all of them unjustified). Needless to say it was a tricky issue to get some of my students to bolster the courage to come to the Roma community and face what they saw as a “dangerous community”. But that’s the whole point of the project, the change this mentality and make Shkoder a better place for everyone, not just for yourself. So in the end they all did it, and I couldn’t have been prouder. 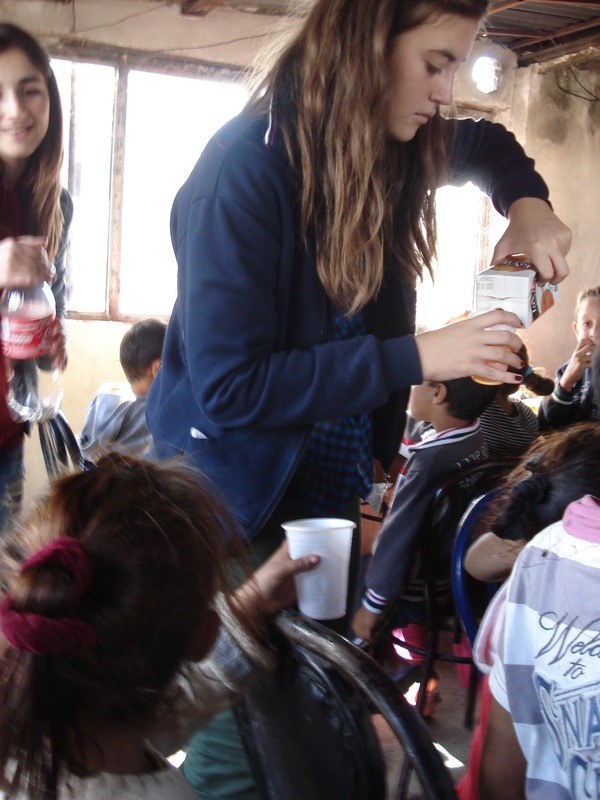 Each student contributed food, drinks, plasticware, fruit, dessert, or whatever else they wanted. 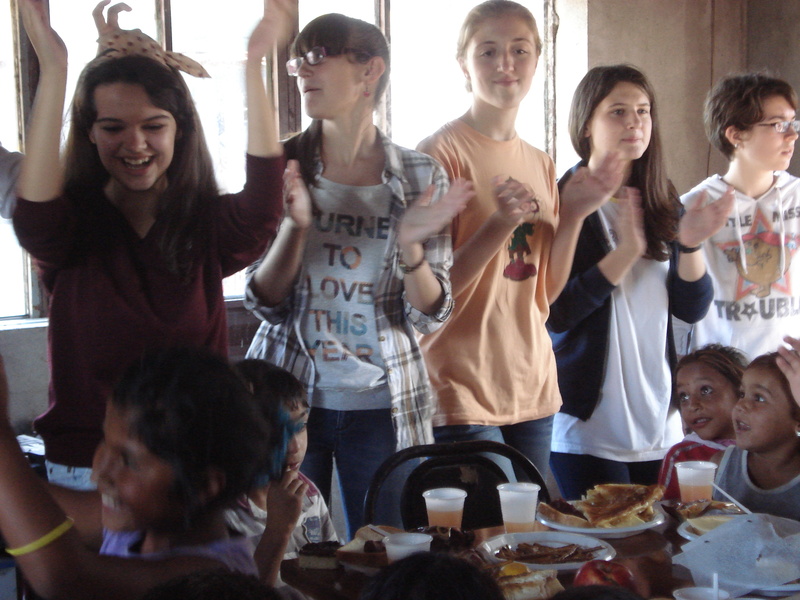 And when the bell rang after 5th period, we boarded the bus with our goods and headed to the Roma community. 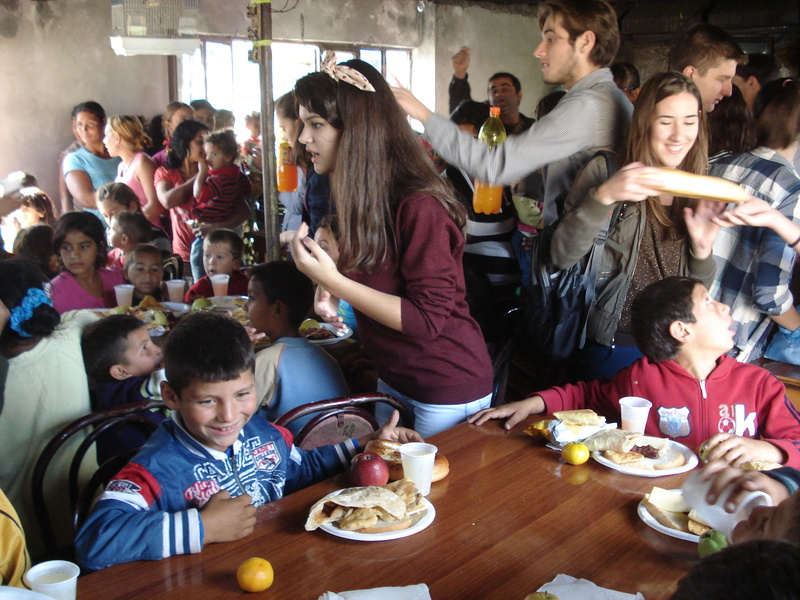 There, 30 little kids were eagerly awaiting us and the lunch they had been promised (by the parents of one of my students who helped us organize the whole event). The looks on these Roma kids’ faces were priceless. And then their mom’s showed up. And their cousins. And their uncles. And their fathers. And everyone else. It was chaos. But wonderful chaos. 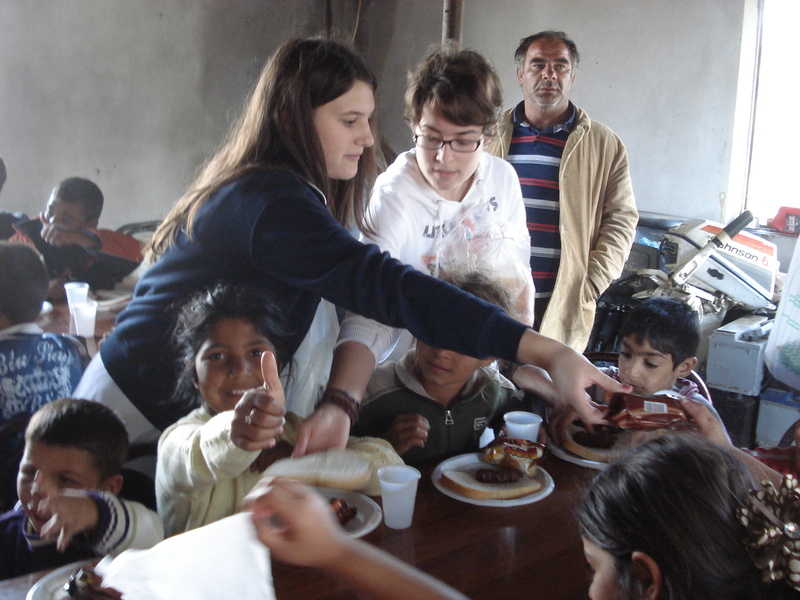 None of the Roma could believe that we were actually there to serve them for a change. They didn’t have to beg or harass us for attention. We were willingly giving them not only food, but also our time and our respect. At the end of the day, my students were grinning from ear to ear. Their opinions of the Roma had totally changed. They weren’t scary people and they weren’t so different from you and me. All they wanted was to eat, laugh, sing, dance, and play with their families. It was such a beautiful moment to see these two communities grow some appreciation and respect for one another. Now I only hope that this is the first step and bigger movement, and not the end of it. But with the CTW kids out on the lose and ready to change the mentality of Shkodrans, you better watch out. Big things are coming. No need to say but I feel really proud to have been part of this club. This club was founded on this purpose, to change the world. And to do that we have to begin from our city. Keep on the good work, guys. What you’re doing is absolutely inspiring.